It's the 21st century, you shouldn't need a cable to charge your phone! 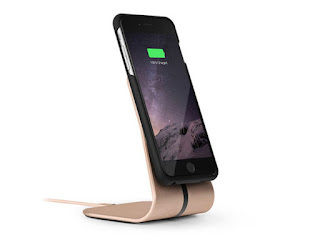 XVIDA wireless chargers deliver a charge just as fast as an old school cable, but with all the added flexibility and benefits of a wireless charger. With the magnetic locking interface, your phone always snaps into optimal charging position, making these chargers extremely easy to use. Just slip your phone into an XVIDA case, place it on the charging stand, and continue to use your phone effortlessly while it gets a safe, fast charge.